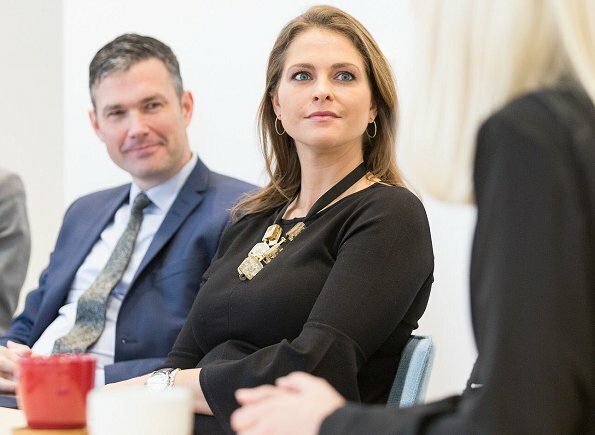 In the afternoon of October 31, 2017, Princess Madeleine of Sweden visited Embassy of Sweden in London and there, she attended a meeting with representatives of Swedish organizations operating in the UK. I wish to see more color on her. I also wish to see more color. Glad that she enlivened her outfit with the necklace. Black is not her color, takes all color away from her face.